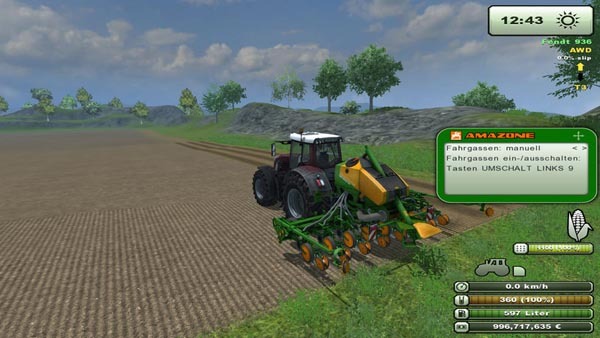 V4 requires mr & soilmod v1.2.x! 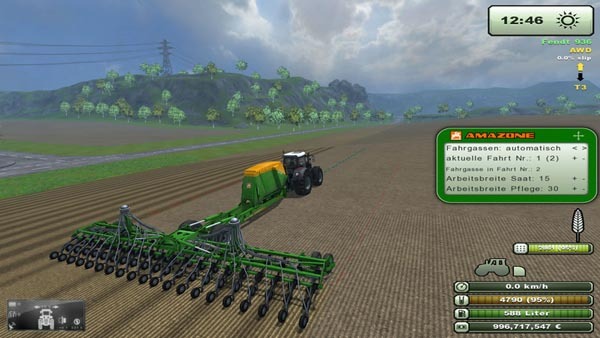 This pack consists of Amazone MR seeders, which are equipped with the latest version of the urfSeeder (3.0) for fertilization and / or tramlines . Since it is not to be had for pocket money in moreRealistic mod of fertilizer consumption for the fertilization was significantly reduced. The mr- usual dependence on fertilizer Speed has been incorporated. In addition, the pack is a global script for spreaders and sprayers. It ” scans ” the box , if fertilizer is already in place, and reduced depending on the actual fertilization own application rate . 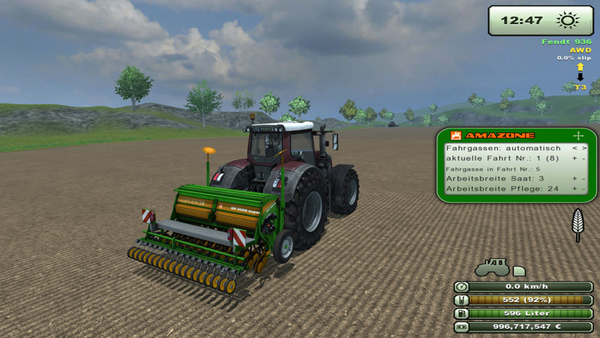 With the new urfSeeder it is possible to separately control the Markers (key ö / ä ) . Download has to be unpacked !